What If your call ended by pressing the power button? If you have activated [Power Button End Calls] function, your call will be ended when you press power button. 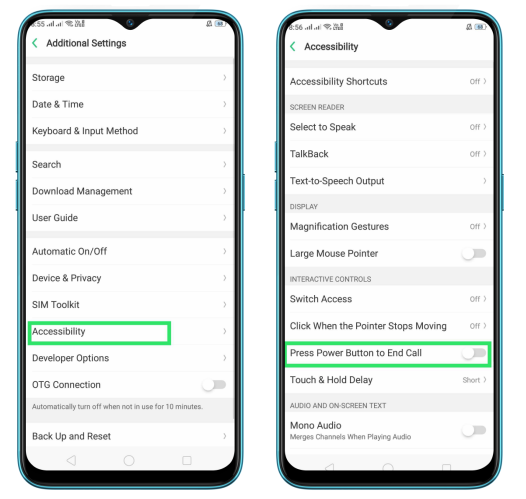 For ColorOS 5.2 and above: Go to [Settings]> [Additional settings]> [Accessibility]> [Power Button End Calls] and turn it off.